Narvi is an easy to use FPGA Development board featuring Spartan 7 FPGA (XC7S50 – CSG324A package) with FTDI’s FT2232H Dual-Channel USB device. It is specially designed for development and integration of FPGA based accelerated features to other designs. The high-speed USB 2.0 interface provides fast and easy configuration download to the onboard SPI flash. No programmer or special downloader cable is needed to download the bit stream to the board. The second FTDI channel can be used to develop custom high data-rate USB based applications. Narvi provides user flexibility in adding their own peripherals through IO Expansion Headers. 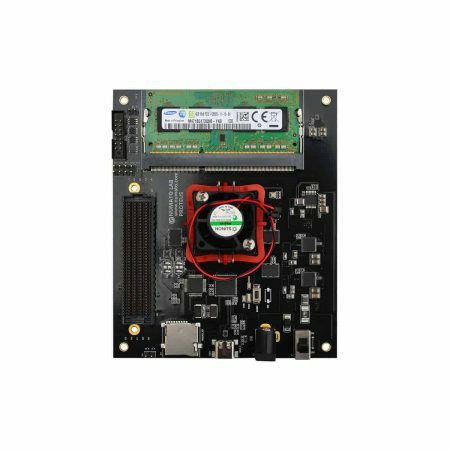 Telesto MAX10 FPGA Module and offers a seamless upgrade path. DDR3: 2Gb DDR3 (MT41J128M16HA-125:K or equivalent). Flash memory: 128 Mb Quadbit SPI flash memory (N25Q128A13ESE40E). Onboard voltage regulators for single power rail operation. FPGA configuration via JTAG and USB. Maximum IOs for user-defined purposes. 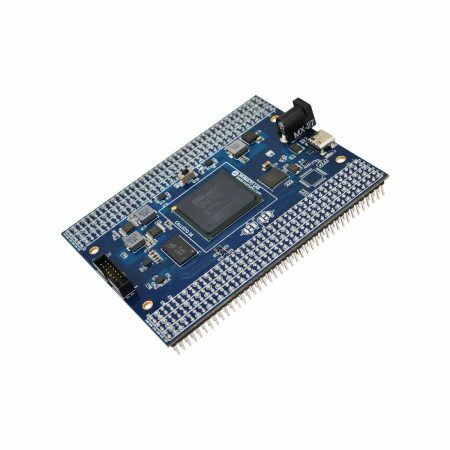 Narvi is an easy to use FPGA Development board featuring Spartan 7 FPGA (XC7S50 – CSG324A package) with FTDI’s FT2232H Dual-Channel USB device. 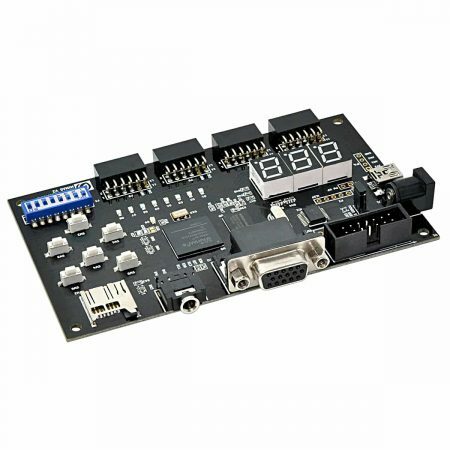 It is specially designed for development and integration of FPGA based accelerated features to other designs. 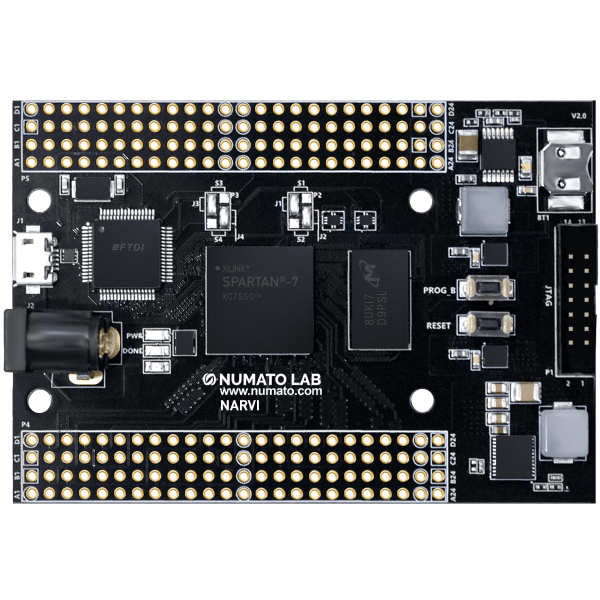 Narvi is pin compatible with Saturn Spartan 6 FPGA Module, Skoll Kintex 7 FPGA Module, Neso Artix 7 FPGA Module, Styx Zynq 7020 FPGA Module and Telesto MAX10 FPGA Module and thus offers a seamless upgrade path. The high-speed USB 2.0 interface provides fast and easy configuration download to the onboard SPI flash. No programmer or special downloader cable is needed to download the bit stream to the board. The second FTDI channel can be used to develop custom high data-rate USB based applications. Narvi provides user flexibility in adding their own peripherals through IO Expansion Headers.